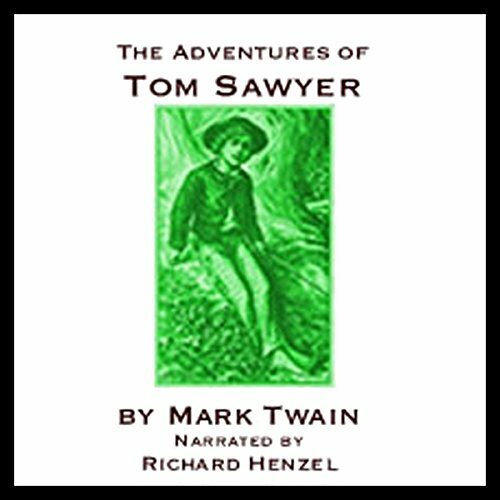 Well known as a "children's book," The Adventures of Tom Sawyer is rich in eloquent and sophisticated language, and filled with realistic characters who become locked in life and death struggles.There is a murder, stolen treasure, and death by starvation. Add a love story, a buddy story, and a family drama, presented "with a fidelity to circumstance which loses no charm by being realistic in the highest degree, and which gives incomparably the best picture of life in that region as yet known to fiction," as William Dean Howells wrote of Tom Sawyer, in Harper's Magazine in 1876. An excellent recording - Richard Henzel's decades of Mark Twain readings add life to this American classic. mark twain writes about boys in his day that reminds you of some of the things many boys could/would have done in any era. boys will be boys and once being a boy i found myself deeply engrained in this novel. wasn't the best but right up there.